On the 7th September, Nerdcave’s ‘M.U.S.C.L.E. MEMORIES’ will open at Beach’s new gallery, above Camden’s Daughter, London. The exhibit will feature the original M.U.S.C.L.E. 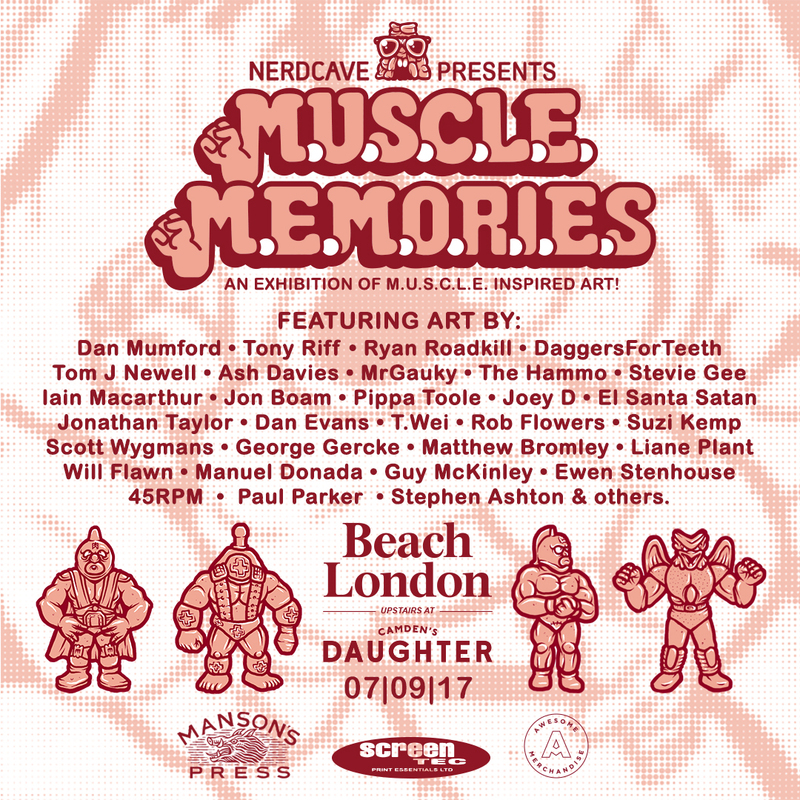 toys, limited edition screen prints and original art inspired by M.U.S.C.L.E. Dan Mumford • Tony Riff • Ryan Roadkill • DaggersForTeeth Tom J Newell • Ash Davies • MrGauky • The Hammo • Stevie Gee Iain Macarthur • Jon Boam • Pippa Toole • Joey D • El Santa Satan • Jonathan Taylor • Dan Evans • T.Wei • Rob Flowers • Suzi Kemp Scott Wygmans • Guy Mckinley • Matthew Bromley • Liane Plant• 45RPM • Manuel Donada • Ewen Stenhouse • Paul Parker & others.